FLO-CORP’s non-contacting radar level transmitters are able to accurately measure both liquid and solid media. 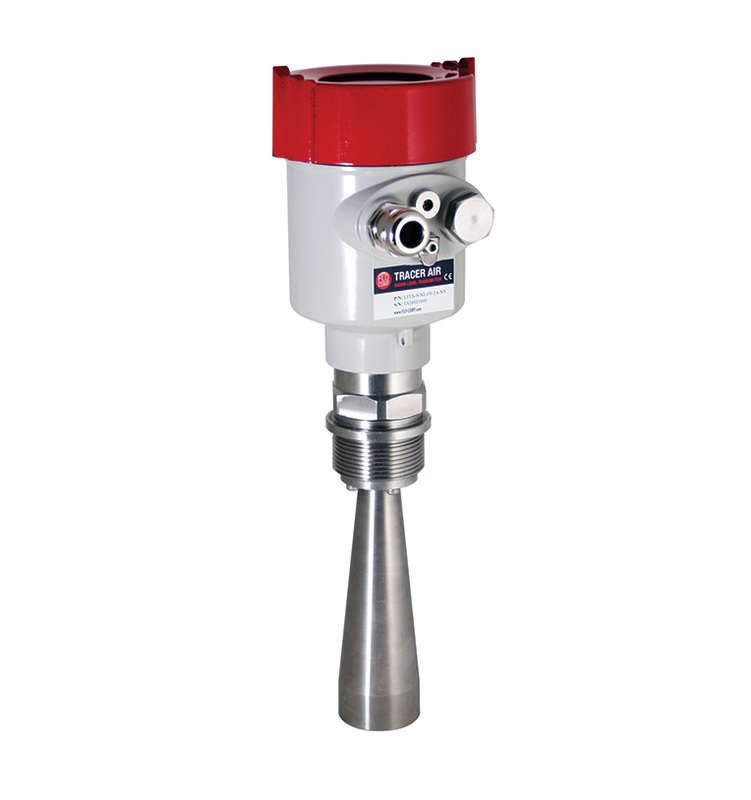 Our radar level transmitters are very cost efficient and easy to use. Since the probe doesn’t need to come in contact with the media, it is great for industries such as food and beverage, medical, chemical and petrochemical, and oil and gas. Typical applications include corrosive or non-corrosive liquid level monitoring, sanitary environments, caustics, small tank or process vessel, silos, and tote tanks. The FLO-CORP flow meter was the only product we could find to cover the wide range of flow rates we needed to monitor. – Joel Tessier, Caron Engineering Inc.
Because of the quality of FLO-CORP’s product, we haven’t needed any follow-up service over the past five years. The quality of flow and level instrumentation provided by FLO-CORP has improved our plant operations. Our open channel flow meter was an excellent recommendation to solve our problems. FLO-CORP’s Tracer 1000 radar level device was so easy to install and has consistently delivered reliable measurements, regardless of the application’s environment. FLO-CORP has a superior product over several competitors and the customer service has been the best. We are excited about the potential of FLO-CORP’s advanced solar power systems. This technology provides a renewable resource to our customers and contributes to California’s renewable energy goals. FLO-CORP responds quickly to phone calls unlike other customer service lines. Their product sales representatives are very helpful and recommend the right product for your specific needs. Driver License Terms The software you can download from this web site ("the Software") is provided by Future Technology Devices International Limited ("FTDI") subject to the license terms set out at http://www.ftdichip.com/FTDriverLicenceTerms.htm ("the License Terms"). You must read the License Terms before downloading the Software. By installing or using the Software you agree to the License Terms. If you do not agree to the License Terms then do not download or use the Software. Without prejudice to the License Terms, here is a summary of some of the key terms of the License Terms (and in the event of any conflict between this summary and the License Terms then the text of the License Terms will prevail). The license only allows use of the Software with, and the Software will only work with Genuine FTDI Components (as defined in the License Terms). Use of the Software as a driver for a component that is not a Genuine FTDI Component MAY IRRETRIEVABLY DAMAGE THAT COMPONENT. It is your responsibility to make sure that all chips you use the Software as a driver for are Genuine FTDI Components. If in doubt then contact FTDI. The Software is provided "as is''. There are no warranties (or similar) in relation to the quality of the Software. There are exclusions of FTDI liability for certain types of loss such as: special loss or damage; incidental loss or damage; indirect or consequential loss or damage; loss of income; loss of business; loss of profits; loss of revenue; loss of contracts; business interruption; loss of the use of money or anticipated savings; loss of information; loss of opportunity; loss of goodwill or reputation; and/or loss of, damage to or corruption of data. There is a monetary cap on FTDI's liability. If a custom vendor ID and/or product ID or description string are used, it is the responsibility of the product manufacturer to maintain any changes and subsequent WHQL re-certification as a result of making these changes.